April 16 - 17, 2019, your Local Council Leaders will attend the Spring 2019 Regular Meeting of the United Master Executive Council (MEC). This meeting will be held in Chicago at the Hyatt Rosemont, 6350 N. River Road, Rosemont, IL 60018. Your Local Council President, joined by the 15 other Presidents from around our system, will address the business of our Union and the issues that are important to you. At the upcoming spring Meeting, the United AFA MEC Officers will provide updates on issues they have been working on since our last regular meeting. During this same meeting, elections for open MEC Committee positions will be conducted. Election information, including qualifications and responsibilities of each available position, are available on the MEC Election Page of our website. We encourage Members to see our democratic process in action by attending your Local Council meetings and, if you are in the Chicago area on April 16-17, 2019 attend the MEC Spring Meeting. Scheduled dates and times for your Local Council meeting and the MEC Meeting agenda are posted on our website as they become available. Elections for Local Council Officers and Council Representatives are now underway in the following locations; ORD, DEN, SFO, HKG, IAH, CLE and GUM. If you don not receive your voting instructions within the next week, call AFA-CWA Membership Services at 800-424-2401 ext. 706 to request the ballot be sent to you. For detailed information regarding the voting process, eligibility to vote, step-by-step voting guides and videos visit the AFA election website. AFA-CWA Local Executive Council elections are important because collectively we determine the representatives for our Local Council who will support every Member of the Local Council. Local Executive Council (LEC) Presidents are Members of the United Master Executive Council (MEC) and AFA's governing Board of Directors (BOD). More details about the AFA-CWA Structure is on the UnitedAFA.org website. What Time Does the Door Need to be Closed to Remain Legal? Subtract the scheduled block to block flight time + debrief time from your “illegal” time calculated above. 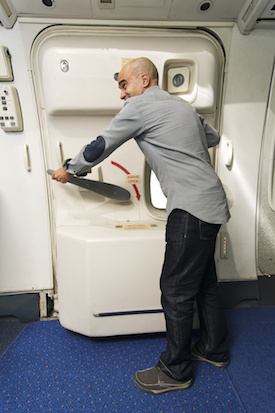 This is when the aircraft door must be closed to be considered legal. It can be very helpful to make a note in our Link/ personal phone of the information above so we are confident in our own advocacy when we are faced with legality questions in the operation. JCBA Sections 15.F., G., & H.
United Flight Attendants expecting or planning to have a child naturally or via adoption should be aware that we have industry leading optional time off provisions in the JCBA. Maternity, Parental and Adoption leaves of absence all provide the option to take up to 12 months off. Reference JCBA Section 15 pages 150-151, the chart on pages 156-157 and the previously published Resolution of MEC 1-18 – Maternity Leave Dispute for more details. When all United Flight Attendants use the available report forms & structure, our collective strength can be realized. It is strongly recommended that Flight Attendants utilize the Reports & Feedback Forms on the unitedafa.org website prior to venting on social media. Often, the vent on social media ends there, without utilizing the proper channels that can effect change. At times, the “vent” on social media can be misinterpreted and the outcome may be less than desired. 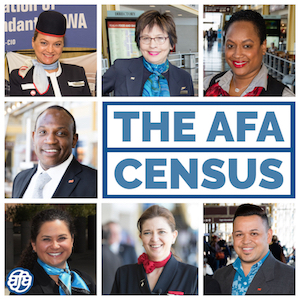 Flight Attendants are also strongly encouraged to participate in the AFA-CWA structure that begins with the Members who elect their Local Council Officers. Once elected, these representatives at expected to address and advance issues for the Flight Attendants in the local. Each Flight Attendant has a voice, but it is silent unless she/he utilizes the resources within their own Local Council. Please visit the Local AFA Councils page on the unitedafa.org website to get details on your Local Council. Imagine living on a $15,000 salary in some of the most expensive cities in the country. Unfortunately, this is reality for our AFA Sisters and Brothers at Air Wisconsin. They are struggling to make ends meet while living with poverty wages without a pay increase since 2007 - twelve (12) years ago. 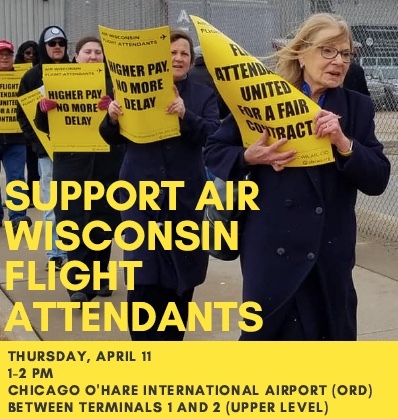 Flight Attendants from Air Wisconsin will be conducting Informational picketing at Chicago O’Hare International Airport, Thursday, April 11, 2019 at 1:00 PM CST. We are asking all Flight Attendants, those on layover or sit as well as those who live locally in the Chicago area to join us in support of our Brothers and Sisters at Air Wisconsin. They are counting on us to support them in their fight for a better tomorrow and their future! Picketing will take place between Terminal 1 and Terminal 2 on the upper lever of Chicago O’Hare airport.